This one is actually happening now, and many industries have already made mobile a standard, so it really isn't a stretch to say that in five years we'll be beyond the looking glass, so to speak, when it comes to mobile. Mobile devices bring about a whole host of opportunities when it comes to maintenance management, and a mobile CMMS really breaks through the limits that traditional desktop software has been hindered by for years. Not to imply that maintenance management web applications aren't great, but features like real-time work order completion, eliminating part checkout stations by using QR readers on the device to check out parts, scanning equipment for information on the spot, getting real-time alerts for new work orders, simple work requesting for non-maintenance staff or residents, location information, and so much more, mean that mobile apps completely redefine how maintenance teams interact with their maintenance management software. 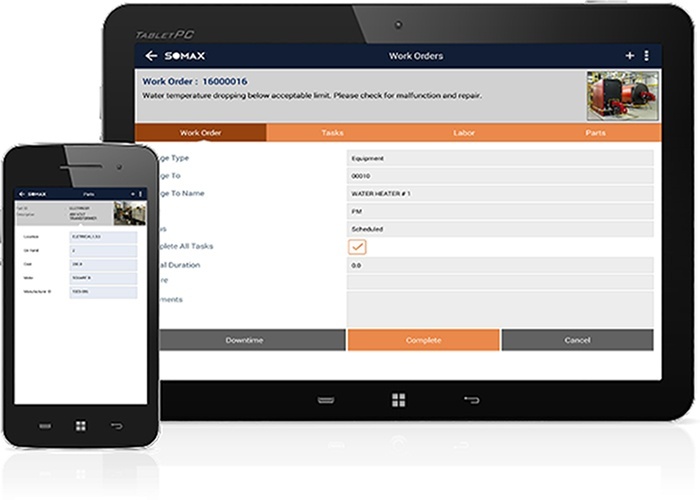 Even beyond being a requirement, it's likely that the majority of work will be done on mobile devices, so you'll see more robust features being introduced to mobile CMMS in a streamlined, user-friendly interface over the next few years as well. We may never get to the point where we can completely remove the computer from your day to day activities, but we can certainly work to minimize the time you have to sit at your desk, and maximize the time you get to work with your team to optimize maintenance for your operation. For those of you asking, "What's an API? ", we'll answer that briefly. An API is an Application Program Interface, which basically means that they are ways for software programs to communicate with each other, making integration easier so you have less programs to open and work in. Tying maintenance management software to other products like accounting, invoicing, billing, scheduling, and production systems has always enhanced the power of a good CMMS, but in the past this was an intensive process which required a great deal of custom coding. With APIs taking hold over the past several years, and quickly turning to standard practice, web-based applications and mobile apps have been unlocked, so to speak, by the ability to communicate with, and source information from, other apps. From stores like Amazon, to complementary applications in finance, weather, location, email and social media, APIs have liberated applications from their restricted existence and created a whole world of opportunity for development and user engagement. APIs aren't technically anything new, and in many industries are already an essential requirement. Over the next five years, these gateways to new possibilities will vastly enhance user-experience in our industry. Now, that's not to say that there won't be features, but honestly, how many more features can we think to put into a product? Eventually, companies will either have to expand, and add functionality outside of maintenance needs, or we'll have to provide insights and KPIs in a more intuitive manner. Maintenance management software already provides so much information about your operation. Asset and equipment information, work scheduled and performed, reports on everything imaginable in your facility, and so much more are already key features in any maintenance management product. So were does the industry go from here? By working to change the paradigm of how maintenance management works, we'll be able to give real-time insights into equipment condition, give automated store room and inventory analysis, track work efficiency naturally and ensure work is being performed at an optimal level, eliminate unnecessary preventive maintenance routines and save money in the process, and give maintenance teams the tools they need to do exactly the work they need, when they need to. Insights will become a key for our industry, they are already fast becoming a standard as companies look away from adding more "features" and move toward adding insights, which leads to our next prediction for the industry. Predictive analytics have been around for quite some time. From vibration analysis to thermography, the idea of predictive maintenance has always had a place in the industry, and has always been viewed from many perspectives. 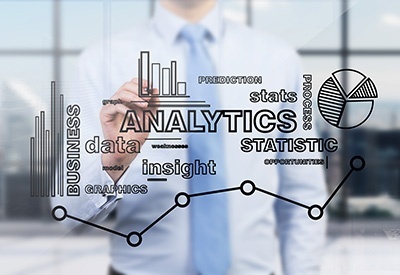 So how will predictive analytics mature? These are just a minute sampling of what the Internet of Things brings to maintenance, many of which are already in practice today (we can't give away all our plans right?). Much is uncertain about the IoT and just how far we'll be able to take it, but one thing is for sure, it will change how we create and use CMMS forever, and once the changes begin, which many already have, there is no going back. The future of maintenance management software is very exciting, and we know that the changes brought on by some of the direction we've outlined will bring enhanced functionality and new purpose to these systems for many maintenance teams. We're sure there will be many more changes than what we've outlined here, and would love to have you learn and grow with us in this exciting time. To learn more click on the orange button above or go to www.somax.com. Thanks for taking the time to read our article. We'd love to hear from you, so go ahead and leave a comment below!